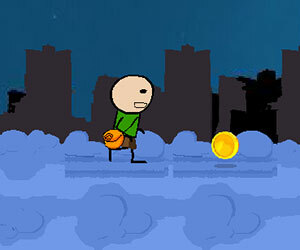 Stick the Runner, stickman game, Play Stick the Runner Game at twoplayer-game.com. Stick is back! In this new adventure he is running through a bumpy landscape and you need to help him collect all the coins and get him save to the Finish!TwoPlayer-game.com hopes you will have fun!